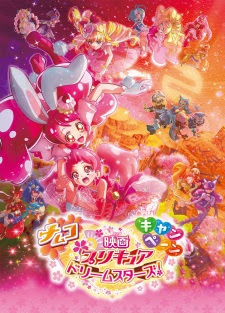 A mysterious girl named Sakura appears before Cure Whip. Sakura comes from another world, where one day the evil Karasutengu crow billed goblin, bent on stealing the world’s pretty things, emerges and kidnaps her friend, a fox named Shizuku. Sakura seeks out the Precure for their help.